Thermal stores are becoming increasingly common in domestic renewables heating technologies as a means of storing excess heat generated. They can be used with an individual renewable heating technology or to combine different renewable heating technologies. Thermal stores can also be used as a renewables technology with a conventional boiler or immersion heater. Thermal stores have proved to work particularly well with wood-fuelled biomass boilers, heat pumps, wind energy and solar water heating systems. A thermal store is a way of storing and managing renewable heat until it is needed. 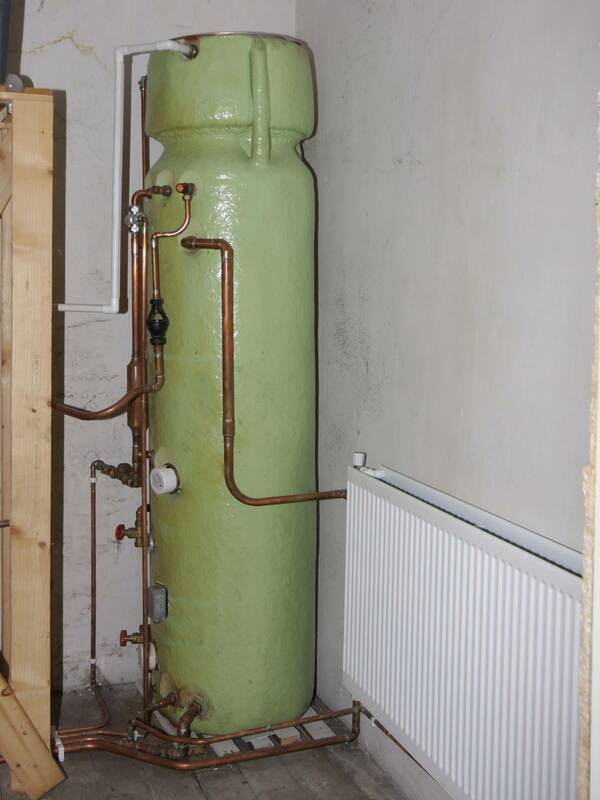 In a domestic setting, heated water is usually stored in a large well-insulated cylinder often called a buffer or accumulator tank. A thermal store may contain one or more heat exchangers, usually in the form of internal coiled pipes or external flat-plate heat exchangers. It may also include an electrical heating element, such as an immersion heater. Allows management of the difference in time between when heat is available and when it is needed. For example, hot water produced by a solar water heating system during the day can be stored for use when little or no solar energy is available. Enables warm water to be heated up by a secondary heating source such as a conventional boiler or electric immersion heater. Enables a renewable heating system to work more efficiently. This is particularly relevant to wood-fuelled heating systems such as log boilers that operate much more efficiently if they are used at maximum output rather than kept ticking over. To purchase a thermal store today to store renewable heat, get in touch with MCC Heating Services Ltd. Our team will install your thermal store ourselves so it is done safely. This is a very cost-effective way to keep your heat energy, if you are interested, call us now on 01539 263424 or 07968024114.